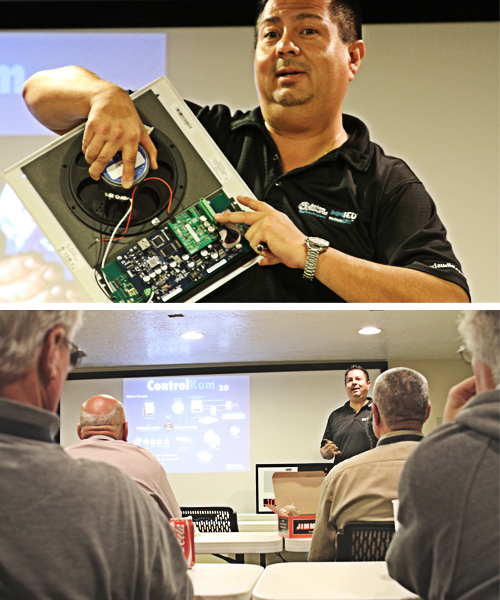 ControlKom 2.0 Presentation | Professional Systems Technology, Inc.
Is your school setup with a proper security and communications system? We brought the staff of Granite and Jordan school districts over to our office for a demonstration of the Control-Kom 2.0 system by Atlas Sound. IP paging from Atlas Sound is the industry’s first true network based communication solution to use standard network protocols for voice and text paging.. Unlike traditional analog paging systems that rely on the installation of separate audio lines and independent equipment, Atlas IP paging solutions use your existing data and telephony infrastructure to create simplified paging, text / audio announcements, and much more. Atlas IP based paging includes the best in both a comprehensive selection of loudspeaker, zone controller products and software (ControlKom or InformaCast) for complete efficient system management that is more cost effective and easier to use than traditional analog paging systems.